Paul Tremblay I would like to say that I hate you and I love you at the same time. We all love and hate authors. It's nothing new but this hate stems from the way he writes and makes it impossible to stop reading even after he begins to make you uncomfortable. His books slowly build tension while taking in directions you don't want to go yet have no choice. Cabin isn't a simple novel and all I can say is that it's about a home invasion and the apocalypse. The rest is up to you discover and figure out on your own. 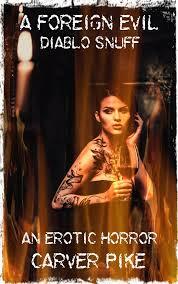 Tremblay takes two simple genres and creates something we haven't seen before which is the mark of a great author. Each turn of the page gets you closer and closer to the darkness. This is a guy who creates characters you become familiar with, you even like them. You can even almost believe Leonard when he says he doesn't want to hurt anyone, but he has to do this. The question that will linger long after you read this is could you sacrifice someone you love to save the world? Cabin is a book that is filled with emotion and a sense of disbelief. Tremblay has allowed us to question the motives behind the invasion, and even plants seeds to doubt it. Even after you finish it, you're still not sure if you're right. 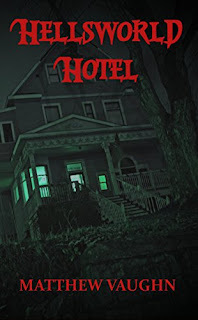 As a writer, he's a guy that takes his readers on an emotional rollercoaster and wants his audience to feel the terror that Eric, Wen, and Andrew feel, and then you begin to feel the anguish that Leonard must be feeling when they don't believe him. How could they? Even as I read it I thought surely they must be crazy, they would have to be to do something like this right? When reviewing this book you can't talk about the plot because it's too complex, too connected to other events that slowly unspools like untangled yarn. This is a horror novel that doesn't rely on being gross or even all that scary. This is an emotional horror that crawls inside your skin and remains there for a very long time. If this is the last of a trilogy this clearly the best one. This is a writer that doesn't like to give us what we've already seen. He's a guy that wants us to feel uncomfortable but his writing is so good we allow ourselves to keep going back for more knowing we're going to hate him but love him again. 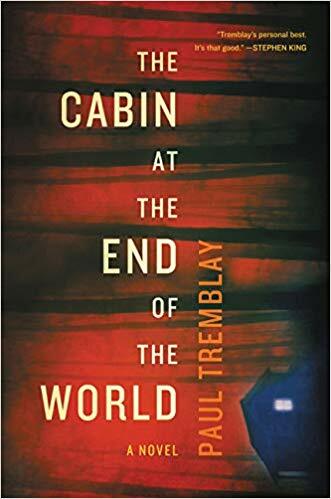 Paul Tremblay is by far one of the greatest writers I've read because he doesn't just write stories for entertainment. This is an event, a snapshot of our own vulnerability thrown back in our face. It would be too limiting to say he's one of my favorite horror authors because that's too limiting. 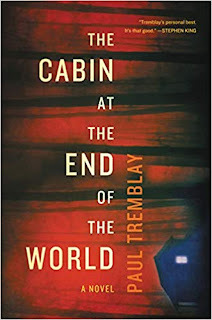 There's a lot of different elements weaving through his work and The Cabin At The End Of The World is the kind of novel you need to read for yourself. It's a classic that will linger in your head long after you read it. How you feel afterward should be discussed and thought about because it will affect you. There's no way it couldn't.